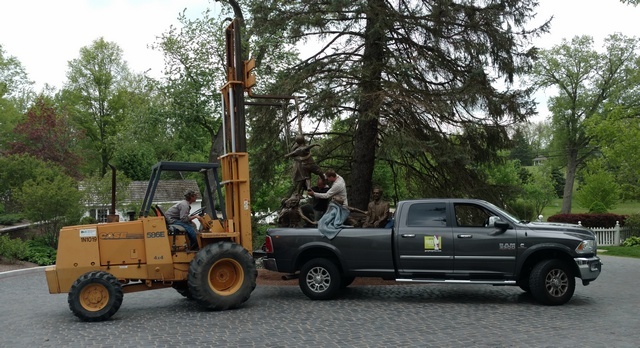 We were fortunate enough to be allowed to help install a “Circle of Peace” sculpture by Gary Lee Price last week. That’s one of the things that keeps our job interesting… We never know what we’ll be asked to do! 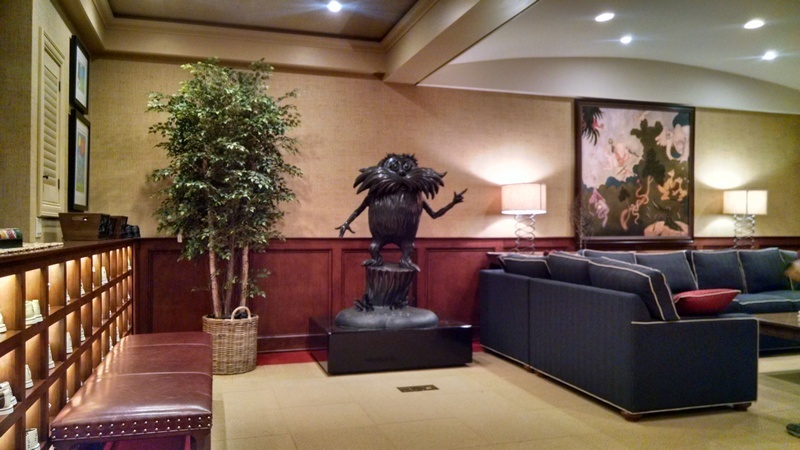 Similar to installing “The Lorax“, our relocation of the Veteran’s Memorial Monument at Fletcher Cemetery and various installations for the Charley Creek Foundation, we’ve been called on to do these things because our clients recognize that we will treat these pieces with the respect and care they deserve. 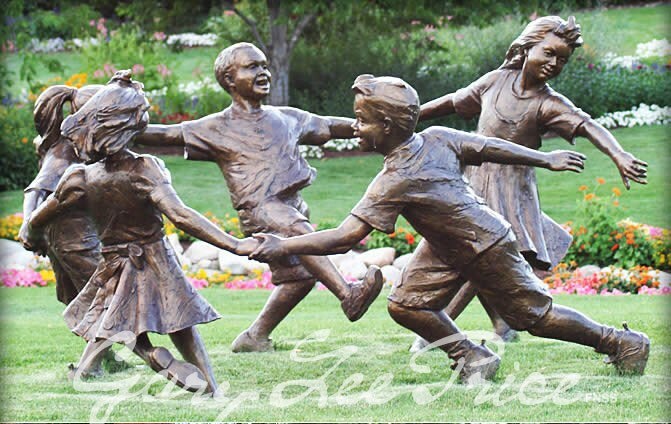 The sculpture weighs approximately 750 lb and came in two pieces. It traveled from the foundry in Utah in the back of a pick up truck. At the wheel was Isaiah Price, the sculpturer’s son. He said the looks and reactions you get from fellow drivers can be quite amusing at times. Fortunately we were able to use a forklift to get the two pieces off of the truck, but from there it was an Egyptian Style move (Strong Backs, Weak Minds), up a set of stairs and about the length of a bowling alley across the lawn to their new home. Because this was a landscape setting on a green roof location, the sculpture was set in concrete pavers to spread the weight. A template was sent to us ahead of time so we could place and leveled on the concrete pavers. The sculpture was dry set on the pavers to make sure of the location, then the bases were marked and drilled so that they could be anchored in place. 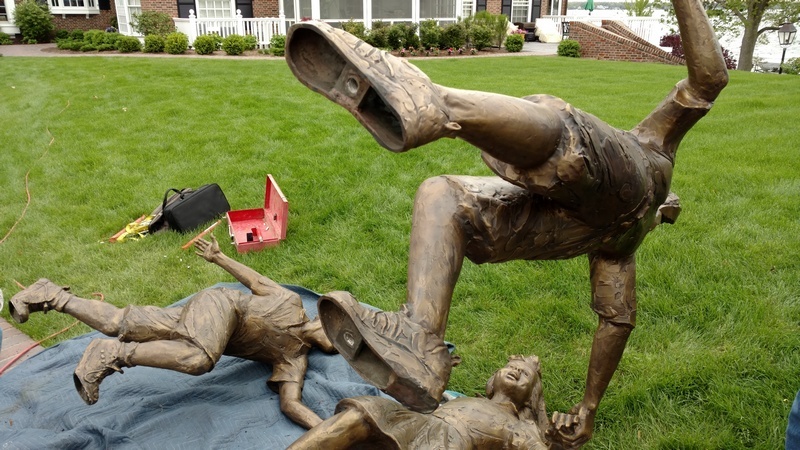 (Dowel pins were screwed into the feet – see right) All in all the sculpture had to be set, removed and reset three times before all was said and done. The whole process took about an hour. Thanks to Scott Bennett and Abree Gonce for staying overtime to accomplish this as the delivery didn’t arrive until about 5:20 in the evening. 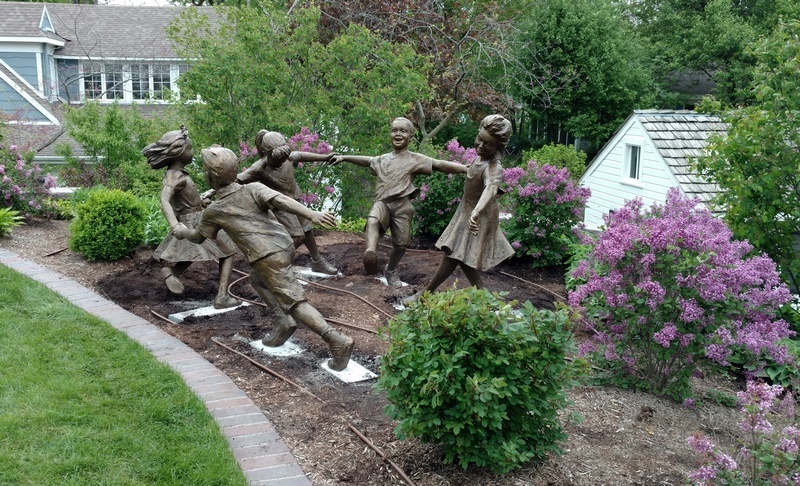 We had discussed several locations with the client and ended up with a location in a planting bed where the sculpture will be somewhat hidden from one direction and “revealed” as guests proceed down the walking path or look out across the walk from the home. This often creates a more dramatic vision or as I was taught in school, the difference between a Vista and a View… In any case, once the landscaping is realigned around the piece, it will look like it has always been there. Very cool! 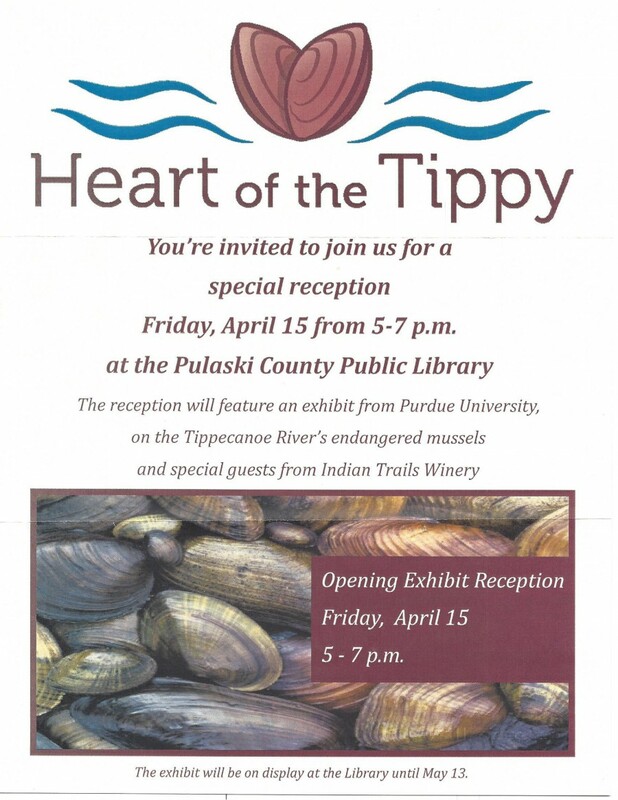 The Pulaski County Public Library is a beautiful venue for events like this. They have several large rooms suitable for gatherings and the setting just above the river and park has great views from expansive windows. The library is located at 121 South Riverside Drive in Winamac, Indiana. Everything they do is first class, so I have no doubt that this event will be as well. I plan to be there! Lt. Governor Holcomb Announces 2016 Stellar Communities Designation Program Finalists – Culver Makes the Cut! Indianapolis – Today, Lt. Governor Eric Holcomb announced the six communities who are the division 1 and division 2 finalists for the 2016 Stellar Communities Designation Program (SCDP). Established in 2011, the SCDP began as a collaboration between the Indiana Housing and Community Development Authority (IHCDA), Office of Community and Rural Affairs (OCRA) and Indiana Department of Transportation (INDOT) to support community planning and development initiatives by streamlining access to available funding sources and capacity building resources. Through the annual designation, the Stellar Communities Designation Program provides resources for transformative quality of place community improvements by utilizing previous planning efforts, leveraging existing assets, fostering regional investments and stimulating continued growth for long-term relevance. Finalist communities are separated into a division based on their population. division 1 is for communities with populations 6,000–50,000 and division 2 is for populations 5,999 and below. Ten communities submitted proposals for the 2016 SCDP. After evaluating the letters of interest, the top six communities were chosen as finalists. As finalist communities, each will receive a planning grant to either create or build upon existing local Strategic Investment Plans, detailing projects, partnerships and proposed sources of funding. Site visits will then be conducted by the Stellar Team which is comprised of representatives from the partnering agencies who follow a standard agenda and set of questions. Later this summer, one community from each division will be named a 2016 Stellar Communities Designee. While OCRA, INDOT and IHCDA have made financial commitments to the program, all eleven agencies will provide a high level of technical skills that will support leveraging the existing assets already within the community. Their efforts will focus on building human capital, supporting existing businesses, creating a spirit of entrepreneurship, redeveloping commercial property and infrastructure, preserving natural and cultural amenities and improving the health and well-being of residents, which fosters the creation of a vital destination. Funding for the Stellar Communities Designation Program comes from multiple existing federal and state programs. Saturday night Becky and I attended a farewell party for John and Pam Buxton at John and Carol Zeglis’s home. John Buxton is leaving his position as Head of Schools at the Culver Academies and they will be moving to the east coast. 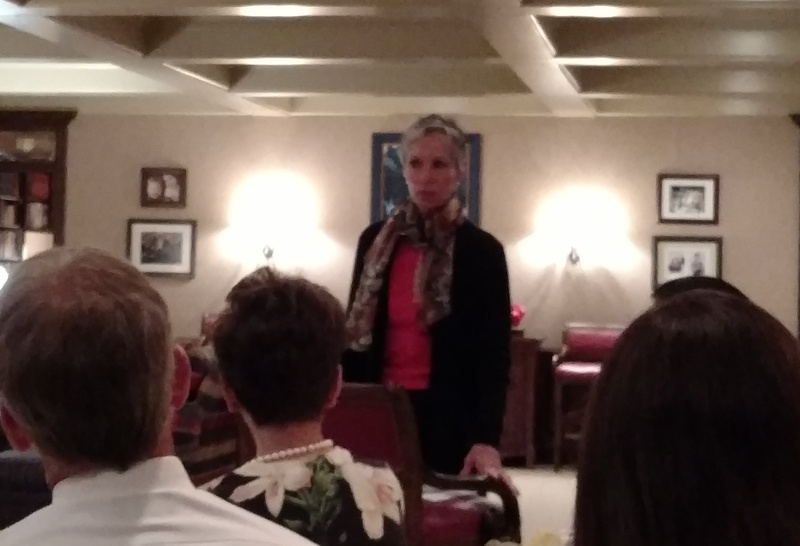 John and Carol honored them by asking representatives of the various charitable and service boards and committees they served on over their tenure at Culver to come and say a few words about their service to the community. I am sure I will miss some, but there were representatives there from the Marshall County Community Foundation, Leadership Marshall County, LIFT, Lake Maxinkuckee Environmental Council, Lake Maxinkuckee Gift of Warmth (Film Festival), Culver Boys & Girls Club, Culver Lions Club, St. Joe Regional Medical Center and the Town of Culver. 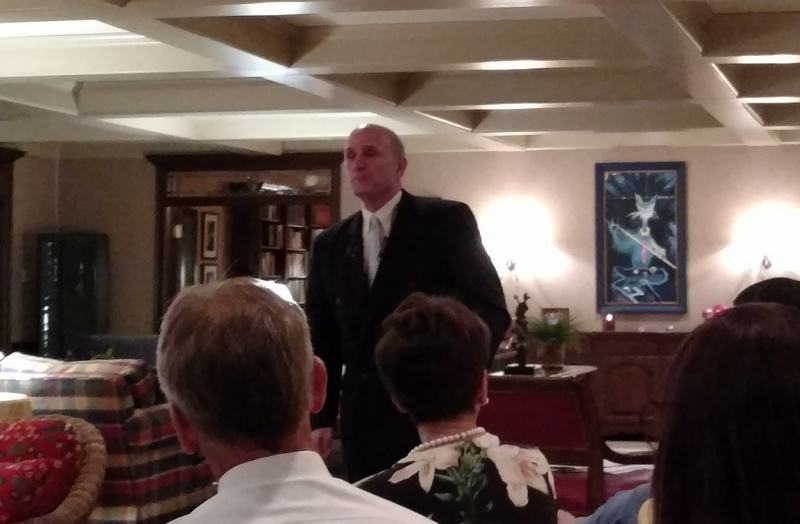 There were 30 guests in attendance and as John Zeglis said, there was as much overlap between those in attendance as there was between the various groups and the Buxtons. I know I have had interactions with all of these groups and served on several of their boards and subcommittees. Both of the Buxtons have been very involved in our community. While most of my direct involvement was with Pam, I witnessed John’s influence in many other areas. To paraphrase one of John’s comments, “When you are guiding the 900 pound gorilla through a community you don’t always get to participate in some of the hands on things which interest you.” While that’s true, their influence was felt and their presence will be missed. Lest anyone think I know when to stop beating a dead horse, I thought I would share some pictures from the Build Your Future Indiana guide. It’s sponsored by Associated Buildings and Contractors of Indiana/Kentucky and as a Board Member, I received a copy at a meeting last week. 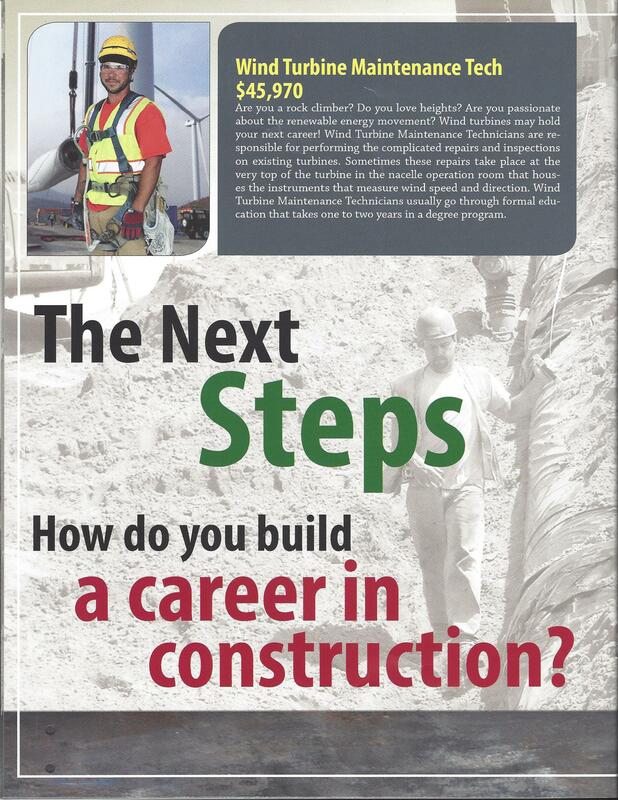 The guide promotes construction as a career in Indiana. (I plan to share my copy with Jerry Chavez at MCEDC the next time I see him.) It gives job descriptions and base wages for careers in various construction trades. 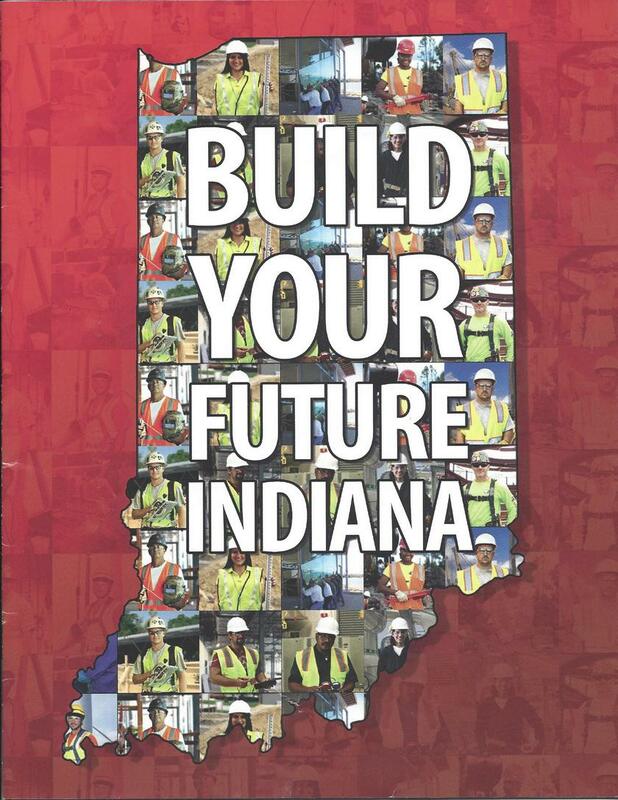 One of the things that currently is a problem in Indiana is finding construction workers. We need to encourage young people that the construction industry is a viable career and educate them that it is a career with potential, but one that requires mental as well as physical skills. So about that poor horse… I’ve reprinted the rear cover of the guide to the right. Notice the Wind Turbines in the background? 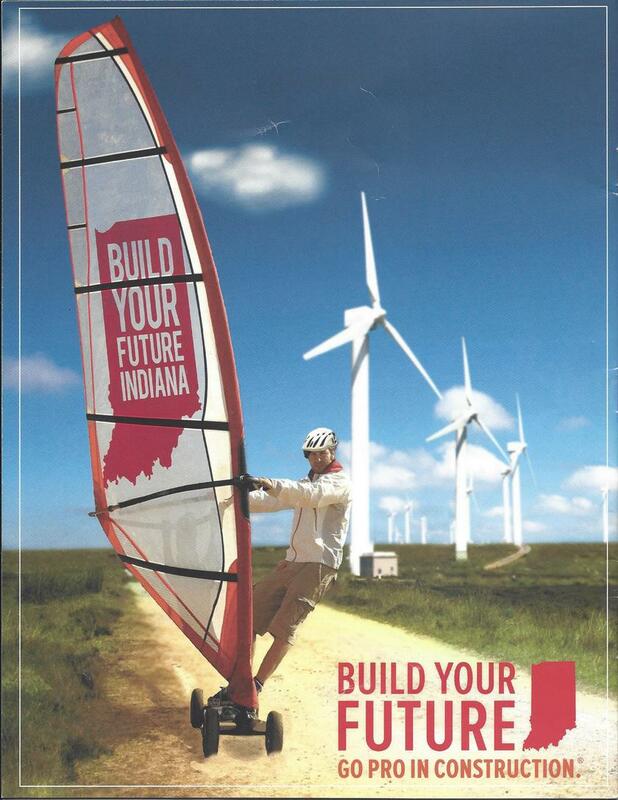 Seems that when I go to most other areas of the State, they’re proud of Indiana’s alternative energy initiatives. But not Marshall County… Even though we have people that work in the wind conversion industry living in our county and manufacturing parts for the industry in our county. Most pages in the guide have three trades per page. The Wind Turbine Maintenance Tech gets his own page and apparently around $46k per year. Sounds like it could be a sweet gig!